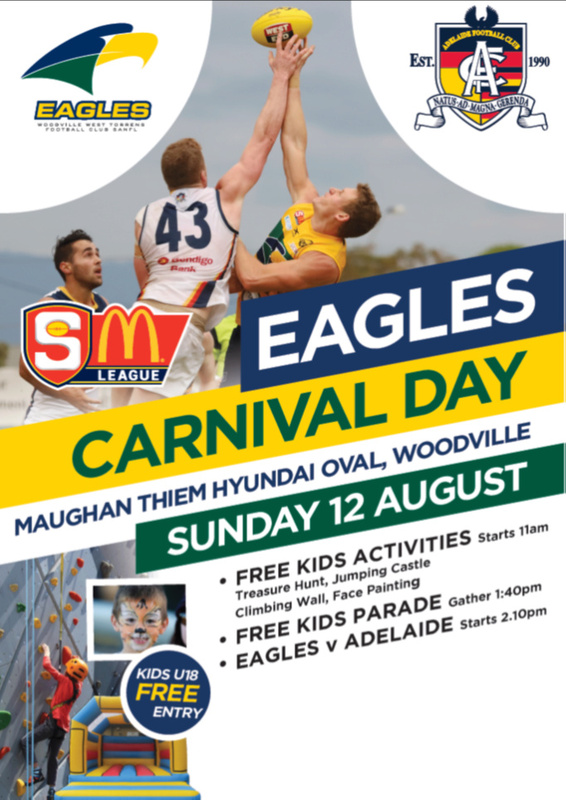 The Eagles have their annual community carnival day against the Crows, and are hoping for a big crowd. Will the Eagles celebrate in front of the big crowd, or will Adelaide spoil the party? Jared Petrenko and Angus Poole will share a very special milestone this Sunday at Maughan Thiem Hyundai Oval as they both run out for their 100th Macca’s League Match against Adelaide. However the journey for both of these Eagles stars in getting to this milestone is quite the opposite. Some useful ins for Adelaide as players return from injury including Kelly, McGovern, Poholke and Edwards. I think the Crows will get an upset win here by a goal. Not much being said about yesterday's game . Was interesting to notice the forwadline midfield changes to cope with the height differences with the crows. After the first quarter Eagles worked smarter lots of shorter passes and handballs. First saw the Eagles kick the ball to many times to the crows back men. Great seeing Rowe improving over the year . Ended up going to this game with a mate, and one thing lead to another, and I ended up as one of the Crows flag holders for the kids parade. 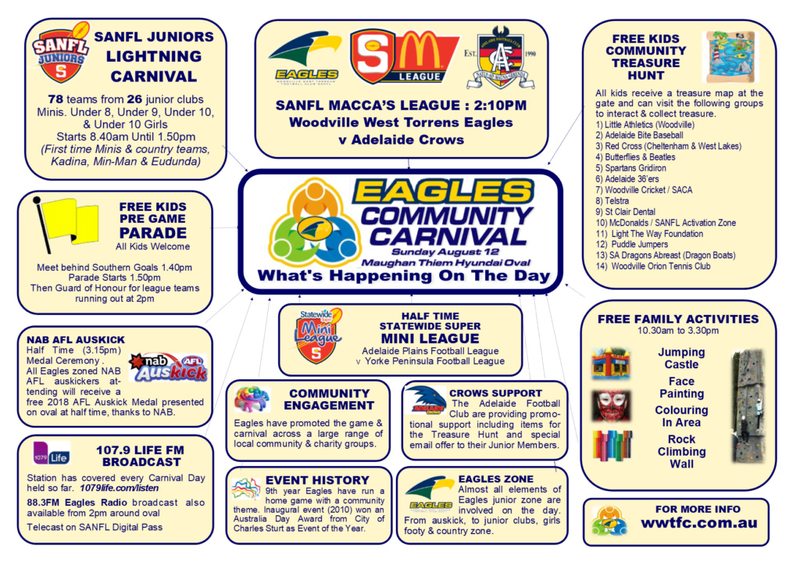 Have to say the pre-game stuff and kids parade was really well organised by Phil and the Eagles. Well done.